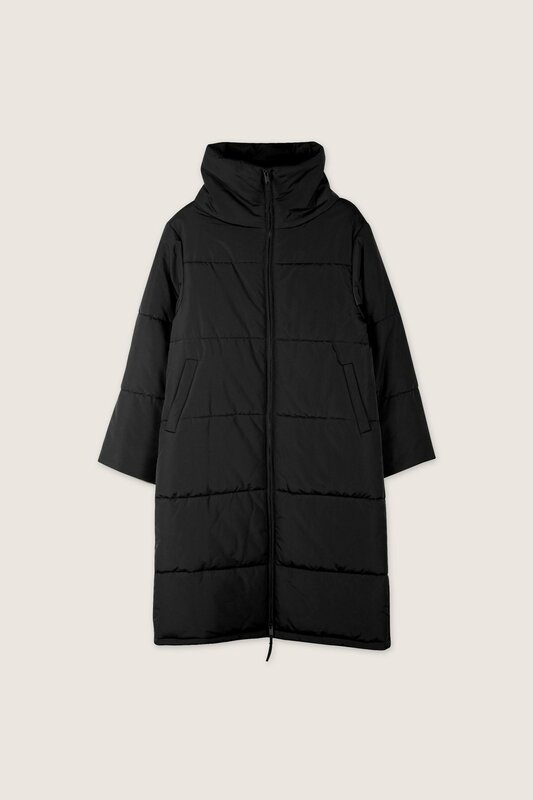 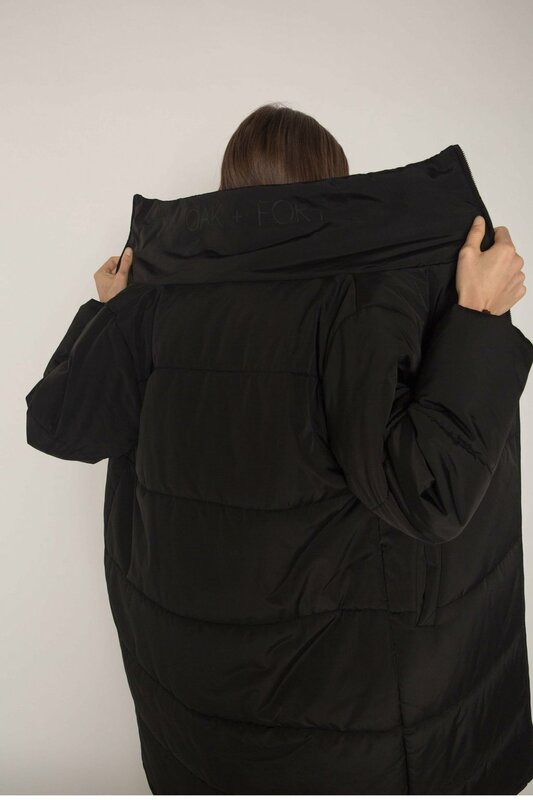 This sleek puffer jacket will keep you warm all winter long. The stand-up collar offers extra protection from the elements and in black reveals a large monochrome OAK + FORT logo at the back. 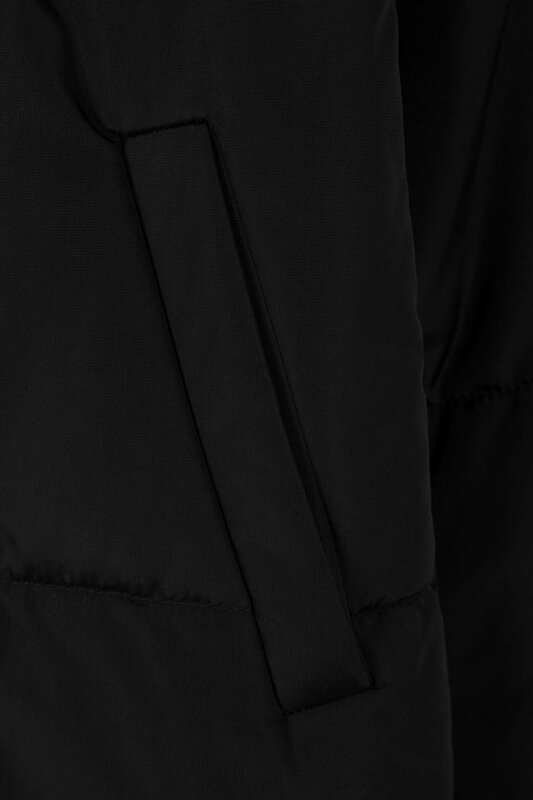 Side pockets, subtle ribbed cuffs, and a two-way zipper means this parka is the ultimate in function.